Hongda Business Services has been assisting foreign companies with setting up and managing local Chinese businesses in Shenzhen, Guangzhou, around the Pearl River Delta (PRD), in Shanghai, and in Hong Kong since 2007. We are based in Luohu, the commercial centre of Shenzhen and one of China’s fastest growing and wealthiest cities. Hongda is a stone’s throw away from the Hong Kong - China border. We also have a branch office in the regional capital, Guangzhou. Our locations in Guangdong offer your business unparalleled access to the PRD manufacturing hub, Hong Kong, and Southeast Asia. Our local China experts, some of whom have more than 15 years experience in dealing with foreign companies doing business in China, are fluent in English and Chinese and specialize in the disciplines you need. Our services include WFOE in China set-up in Shenzhen and beyond, China accounting, Hong Kong company registry, and China work visa applications. Where do I start with company set-up in China? 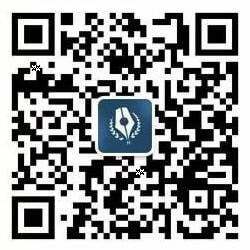 There are any number of permutations based on each companies unique needs, locale, investment vehicle and scope of services they intend to perform in China, and we will consult you on your business needs in order to offer the best possible advice in plain English. Hong Kong company registry > WFOE / joint venture or representative office. Set up a WFOE in China directly (or JV / Rep office if preferable) using the overseas company (or an individual) as investment vehicle. How do I ensure I stay compliant and tax efficient in China once my company is set-up? How about China trademarks and staffing? We’re proud to be cooperating with hundreds of foreign companies, ranging from international giant Lenovo, through to a myriad of SMEs plying their trade here in China.